Every month #CSDA is going to have a different photo challenge and the staff will pick the best photo relating to the theme. The month of September’s theme will be “dance is our story”. Post a photo showing our CSDA story and what that means to you. Our CSDA story has written itself through out the last 13 years. Every memory, laugh, tear has gone into making our unique story. Share a photo that best documents our journey and explain your chapter in the CSDA story. 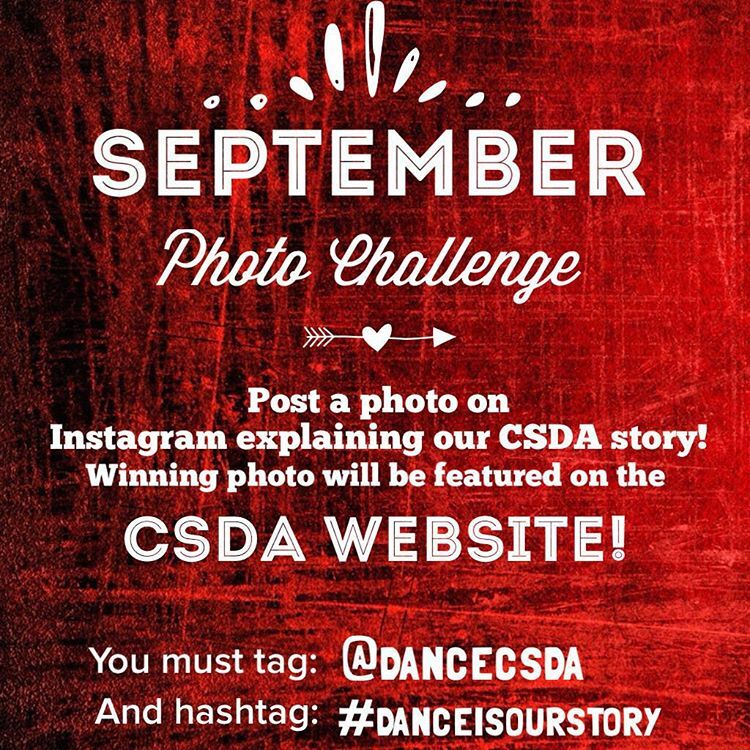 Be sure you tag #CSDA and #danceisourstory for a chance to win. Winning photo will be featured on the CSDA website.